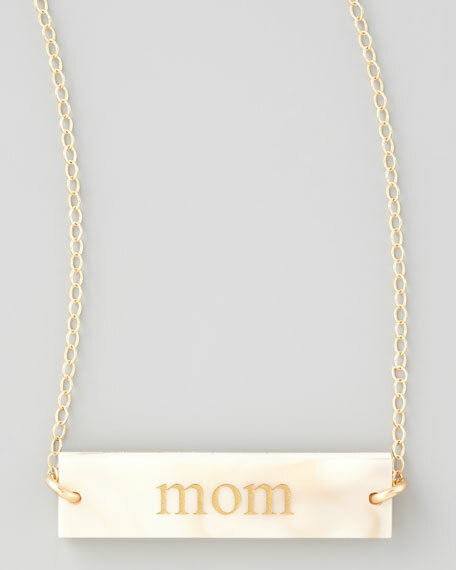 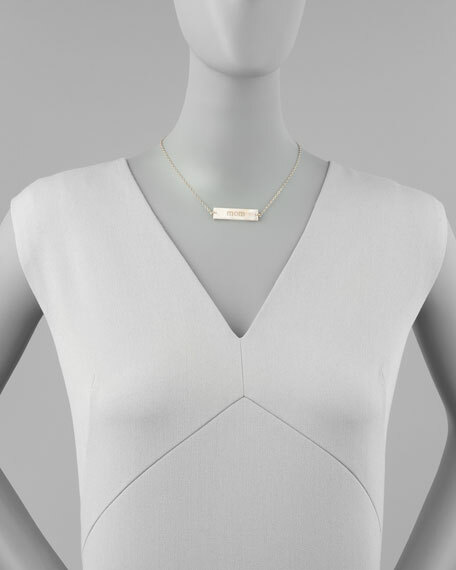 This Moon and Lola necklace spells out your name, perfect for becoming your signature piece. 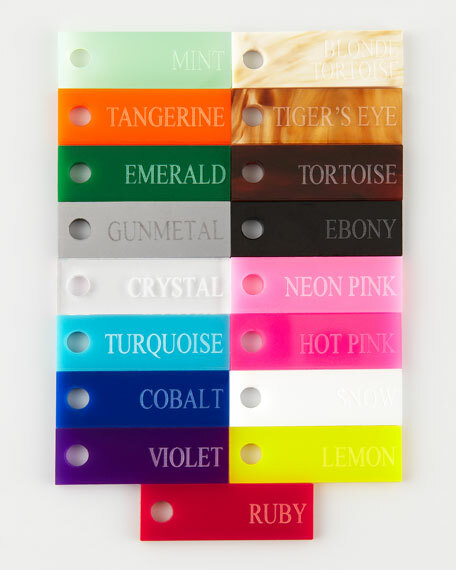 In your choice of color. 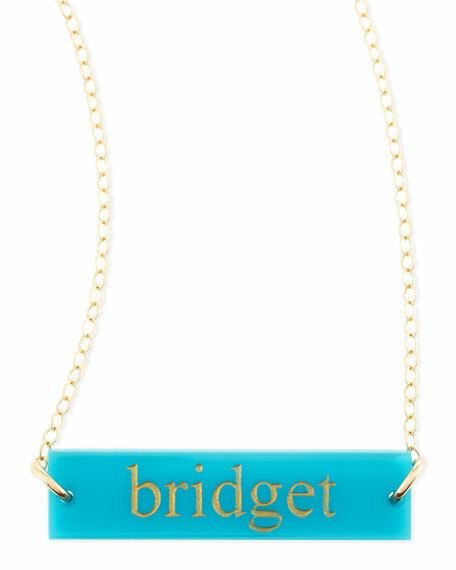 Shiny acrylic integrated pendant detailed with golden block letters in name of your choosing.